Apollonia - Parisian trio, Dan Ghenacia, Dyed Soundorom and Shonky - mix the next instalment of the fabric compilation series: ‘fabric 70’. 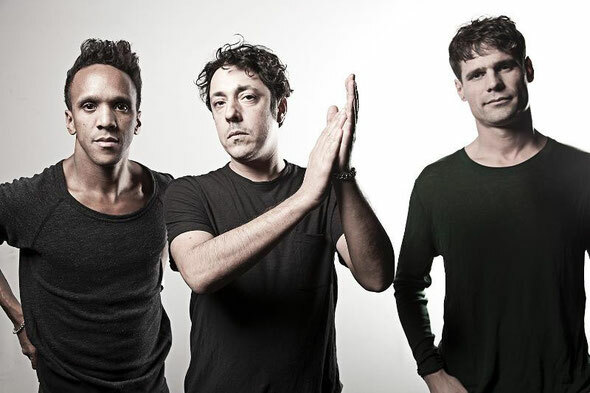 Apollonia have cultivated a creative synergy that sees them connect and work as one artist as they weave through house and techno - three different minds, bodies and souls intuitively working together and focusing on their shared musical passion. Apollonia: "We don't play like a usual back to back - where you can recognize who is playing what - we have a unity, much like that of a band... There is a point when we have played together after three or four hours and we no longer feel the time... it's almost meditation." What they describe as a meeting of "black music and white soul" (inspired by the pioneering work of the trio's hero, Prince), they have showcased their electric back2back2back sessions, where they play at least five hours or more, at Panorama Bar in Berlin, DC10 in Ibiza and of course, fabric in London. They formed officially in 2012, although the trio have been friends and working together for more than a decade. Originally meeting at Ghenacia's revered Parisian Sunday morning afterhours, 'Kwality', held on a boat in Paris, Dyed and Shonky released their first EPs on Ghenacia's former imprint, Freak n' Chic. After the label's demise in 2011, the logical progression for the Parisians was to start a joint musical venture, and here Apollonia began - both the band aspect and as a record label, to release their own productions and those of carefully chosen contemporaries. Their mix for fabric was completed over an intense six-week lock down period in the trio's Berlin studio earlier this year. 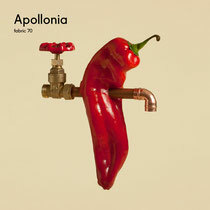 Apollonia: “The mix is a reflection about our culture and how we play, and it's a really good mirror of who we are and what we do, mixing the old school stuff that fits in really well at the moment, with some brand new music." It’s out June 17 on fabric Records.